He’s impetuous, brash, quirky, militant, super anti-Iran, very pro-Israel, confused, insecure and dangerous both at home and abroad. Think Syria, Yemen, Bahrain, Qatar, $100+ billion weapons, to realize how bloody and unstable he is. He has recently even threatened Russia, in addition to Qatar, Yemen, Iran, Lebanon, Syria, Shias and Dissenters! And with a sick father sitting only titularly on the throne he’s already in effect the 31-year-old King of a very endangered “Saudi” Arabia. The former Crown Price he has just overthrown is now confined to his palace his powers stripped and his guards replaced with royal imprisoners. 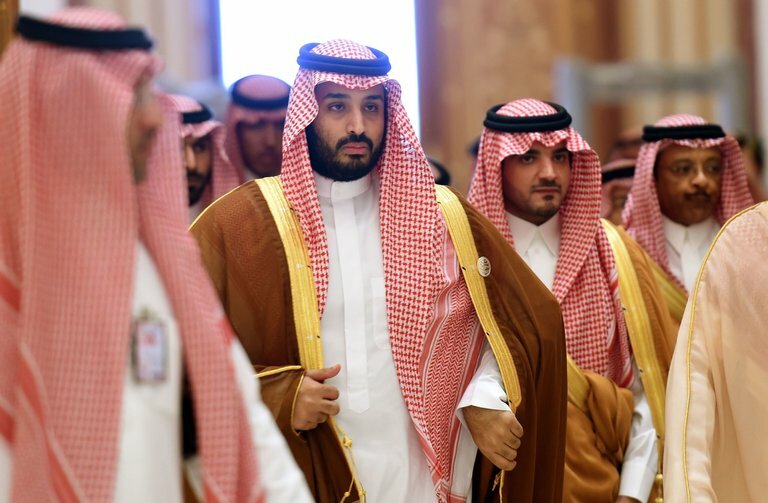 If you were thinking of investing in this family-business-country or the upcoming Saudi Aramco IPO think again!